Since Christmas Eve and Christmas Day fell on Monday and Tuesday, Monday and Tuesday trash pick-up was on Wednesday December 26th. Wednesday and Thursday trash pick-up was on Thursday December 27th. Friday’s pick-up is on the normal schedule Christmas week. 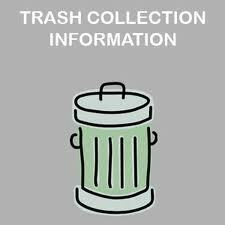 For New Years week: Tuesday and Wednesday trash pick-up is on Thursday January 3rd, and Thursday and Friday trash pick-up is as scheduled on Friday January 4th.